Product code: ES7750 Categories: Sold Items, Sold Jewellery. 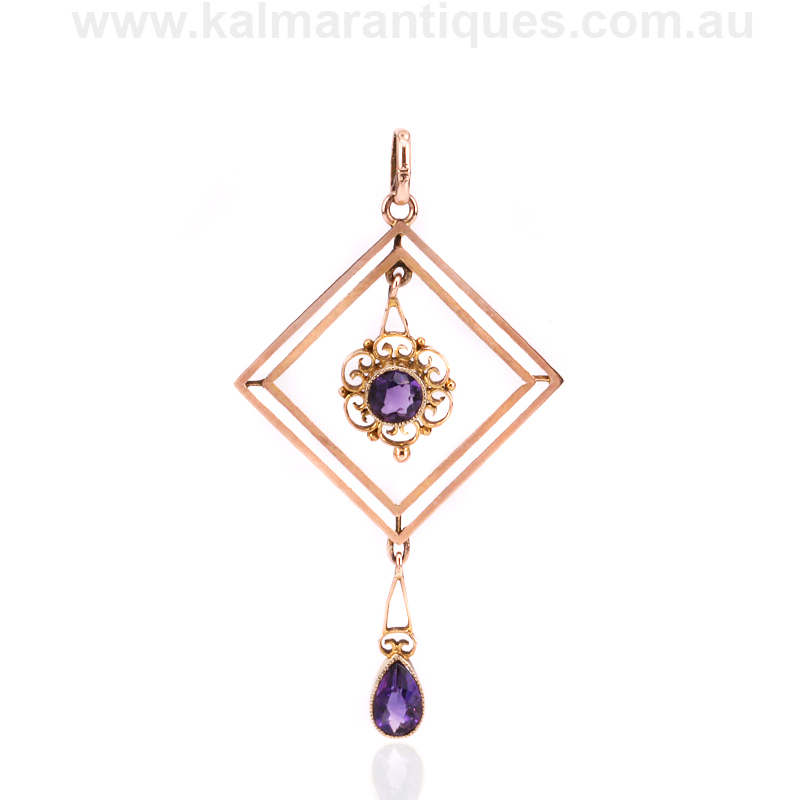 With influences of the late Victorian period and the upcoming Art Deco era, comes this 9ct rose gold antique amethyst pendant from the Edwardian era that is so elegant and stylish. Made in 9ct rose gold which has such a warm colour, the rose gold is a perfect match for the two lovely amethyst set into the pendant. With the wonderful geometric design of the border, the beautiful scroll work surrounding the amethyst shows how the eras have influenced the design of this pendant so much. And with the additional amethyst suspended below, this pendant will always be admired for its simplicity and beautify every time that it is worn. Measuring 27.8mm across by 52mm from top to bottom, this is such a lovely antique pendant to wear with a summer dress just as much with that little black dress in the evening.